Find a new house in Manchester, browse real estate listings and property for sale in Manchester, including flats and homes in top areas for investment and lifestyle. Superb investment opportunity of flats for sale in Manchester just a short five minute walking distance to the world famous Old Trafford football ground – complete with a three year 7% rental guarantee per year, these are not to be missed. The perfect opportunity to invest in a central Manchester apartment within minutes to many city landmarks – the properties are ideal buy-to-lets with a rental agreement in place for the buyer to take advantage of. These exceptional apartments are just minutes away from the main campus of the University of Salford, providing investors with thousands of potential renters to choose from – this is a no-brainer opportunity in Manchester. 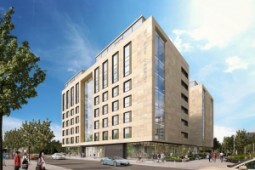 Ideal investment properties right in the heart of Manchester, designed as student accommodation with a plethora of added on-site facilities including a modern gym, study area, storage for bicycles, and much more. 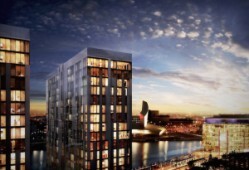 Invest in the heart of Manchester when you purchase one of these first class properties with beautiful views and high class on-site social facilities to enjoy. Choose from studios up to two bedroom two bathroom units. Within walking distance to a local tram line that will take you towards the city centre of Manchester in minutes, these luxury apartments in Salford are perfect for those looking for buy-to-let options in the North West.